Angelica Pickles...everyone's favorite cartoon sociopath! 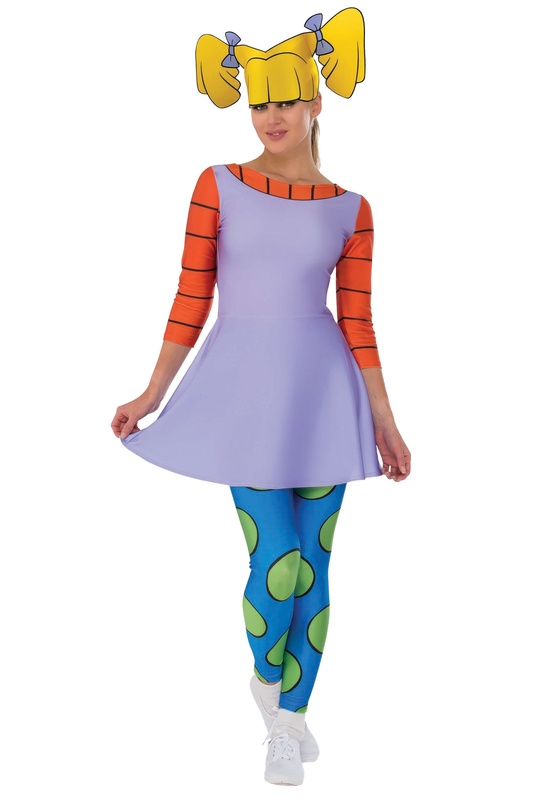 If Angelica was also your favorite character in Rugrats, then you'll love dressing in this adult Angelica costume. Outfit yourself in the cartoony ensemble, which features the character's signature polka dot leggings and her lavender jumper. The soft headpiece comes with the costume to complete the animated look. Now, all you'll need to do is find a Cynthia Doll to wave around. Good luck, because we've been scouring Ebay for months trying to find one!